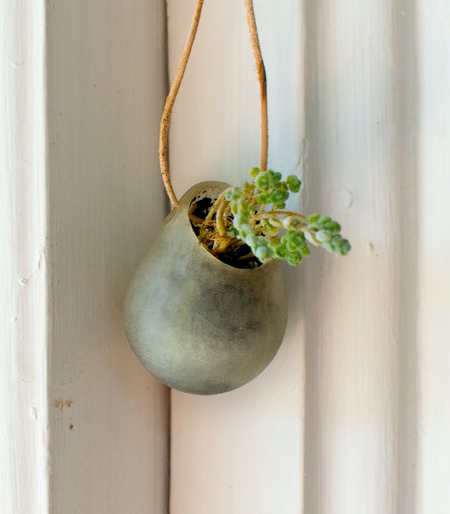 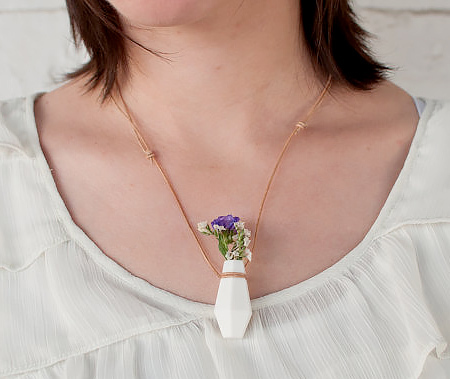 Miniature vases will help you wear beautiful flowers and plants on your neck. 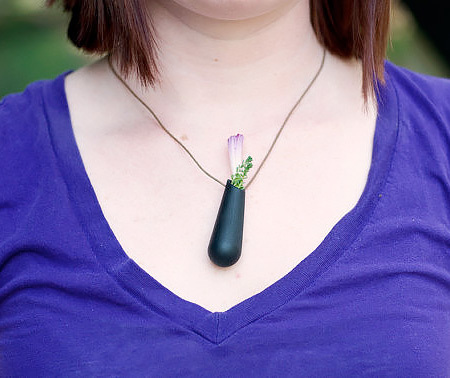 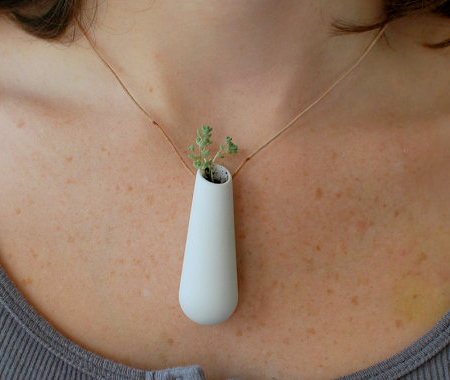 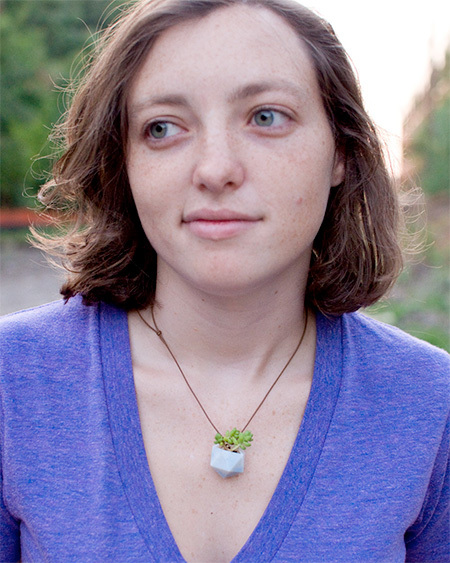 Wearable planters / vase necklaces designed / made by Colleen Jordan. 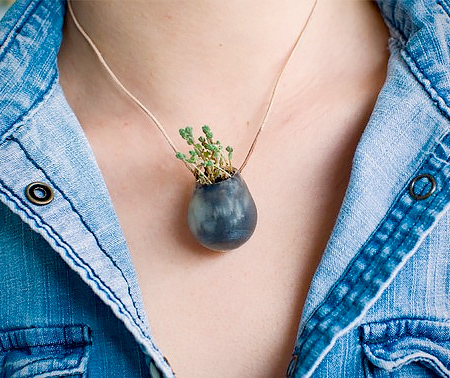 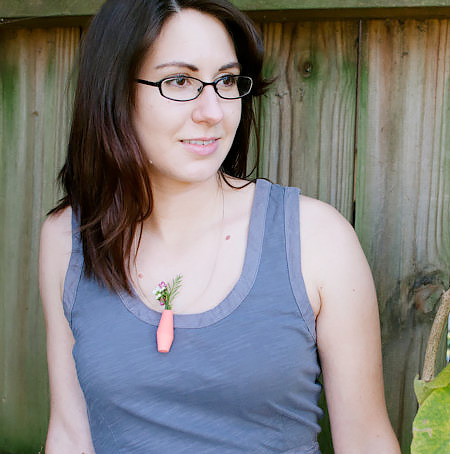 Nature inspired jewelry – fashion statement and conversation starter. 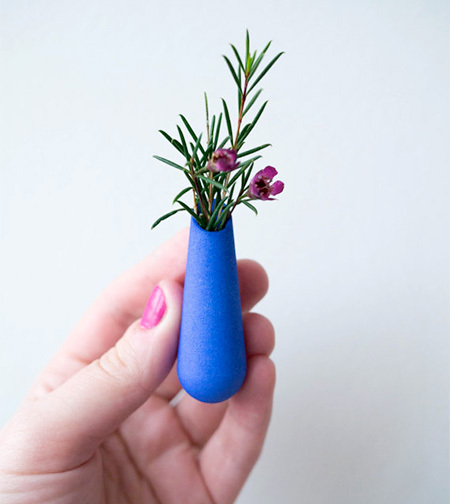 Very clever idea and nicely executed.